DAVID LE/Staff photo. 7/7/15. 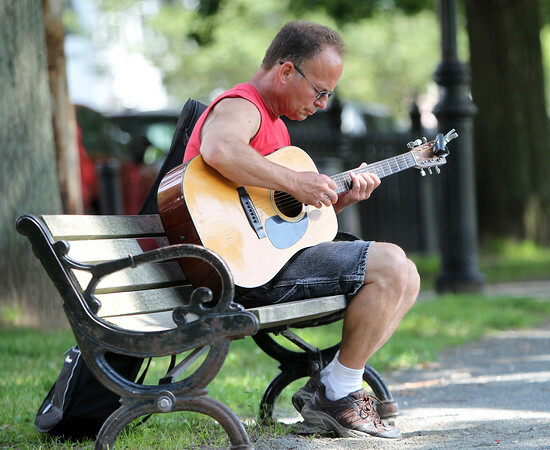 Tom Richards, of Topsfield, plays guitar on a bench on Salem Common on Tuesday afternoon.